Are you an entrepreneurial, ambitious individual who is interested in philanthropy and volunteerism between 21-39 years old? When you join the YPB, you will have the opportunity to plan and attend fundraisers, meet new people and attend networking events. You will become part of the next generation of leadership helping JOURNEYS achieve its mission. 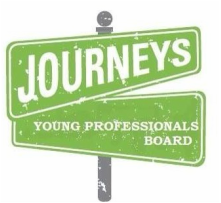 Email ypb@journeystheroadhome.org for application information. ​and with the onsite coordinator such as setup, registration, and more. 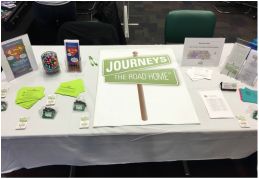 Email events@journeystheroadhome.org to volunteer at any of the agency events. The annual Garden of Giving Women’s Luncheon helps to increase awareness of homelessness in our area. Volunteers help with selling raffle tickets, drink tickets, and with sharing their experience with JOURNEYS | The Road Home. 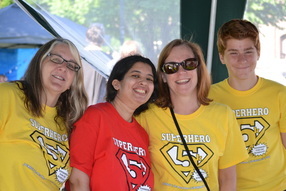 Join us in creating a family friendly 5K by being a superhero for the homeless. This fundraising event helps to fulfill our mission of increasing the awareness of homeless in our community while having fun. Volunteers can help with setup, course direction, activities, and tear down. ​JOURNEYS | The Road Home welcomes groups to volunteer for our organization. Groups can help with special events, projects at the HOPE center, and with our PADS program. All events must be scheduled a month in advance with the Volunteer Coordinator to ensure that an activity is available. Email volunteer@journeystheroadhome.org to get started today! Are you passionate about JOURNEYS? Do you have the opportunity to present about JOURNEYS to others? Our Community Ambassadors do just that! Community Ambassadors present about JOURNEYS to organizations, at fairs, and more. This is a great opportunity for individuals who desire to spread awareness about JOURNEYS mission and to help the homeless and near homeless. 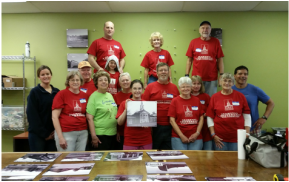 Are you interested in a volunteer leadership opportunity? Do you enjoy working with others, event planning, or fulfilling tasks to ensure events run smoothly? If so, this is the opportunity for you. Committee members are essential to each of our three events because they help with sponsorship attainment, collecting items for auctions, and spreading the word about the upcoming event.